The 2019 SCOOP has $75 million guaranteed, the biggest-ever festival hosted at PokerStars. The Spring Championship Of Online Poker (SCOOP) returns to PokerStars from May 12-27 and brings with it a record $75 million worth of guaranteed prize pools, including having at least $1 million guaranteed every day throughout the series. Last year’s SCOOP was the largest in its 10-year history with $65 million guaranteed across 183 tournaments. 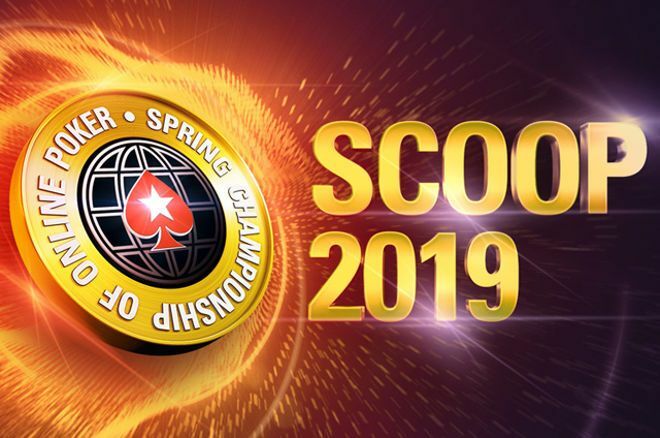 The 2019 edition of SCOOP promises $75 million in combined guarantees across 67 numbered events, each featuring three tournaments. As in previous SCOOPs, the 2019 SCOOP features events with three different buy-in levels: Low, Medium and High, giving every PokerStars player the opportunity to become a SCOOP champion. Players can get involved in a wide range of different poker variants and formats, including no-limit hold’em, pot-limit Omaha, 2-7 Single Draw, Win the Button, 5-Card PLO, Progressive KO events and many more. Each of the events is sure to feature a massive prize pool in relation to its buy-in, but the six 2019 SCOOP Main Events are sure to draw players' interest. This year, there are three no-limit hold’em Main Events with buy-ins of $109, $1,050 and $10,300 plus a trio of pot-limit Omaha Main Events with the same range of buy-ins. SCOOP Main Events are always exciting for both players and spectators as huge prize pools are created. Last year, the $109 Low Main Event attracted a field of 26,361 players and all were outlasted by Germany's “Cashcid Linc” who walked away with $267,584. Satellites, starting as low as $0.11, are available starting from April 15 while players can win a variety of SCOOP tickets in the special Spin & Go’s at PokerStars. The $2 buy-in games award SCOOP tickets up to $1,050, the $22 editions can pay out $10,300 Main Event entries, while the $215 special edition Spin & Go games can award their winner up to $1 million in cash plus SCOOP Main Event High entries. The popular SCOOP leaderboards return again this year to reward the best players during the series. Points are awarded for every SCOOP event a player cashes in, with more points given out to those who reach the final table or go on to become a SCOOP champion. Cash prizes of between $100 and $5,000 are available in the Low Leaderboard, prizes of $500 to $7,500 in the Medium Leaderboard and $5,000 to $10,000 in the High Leaderboard. There is also the chance to win a trophy and $25,000 cash for being the overall SCOOP player of the series.